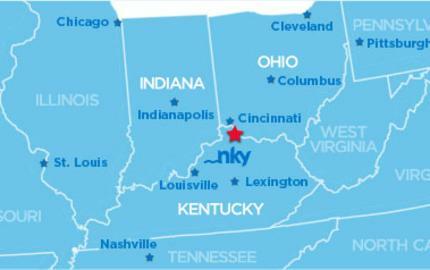 NKY is right in the middle of it all. We are within a day’s drive or an hour flight of 60% of the U.S. population. Right at the heart of the intersection of I-75, I-71 and I-74 so you know your attendees can get here quickly and easily. Cincinnati/Northern Kentucky International Airport, or CVG as we like to say, is the top airport in the U.S. for access and service. It has more than 150 daily departures and is a quick 15-minute drive to anywhere in NKY. But once you are here, the real fun begins! 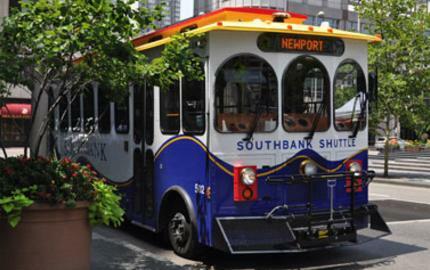 Whether riding around NKY on the charming Southbank Shuttle Trolley or the super cool Cincy Red Bikes, you can be sure the access will be easy. And above all, we challenge you to find a better waterfront and region for walking—check out our Purple People Pedestrian Bridge!